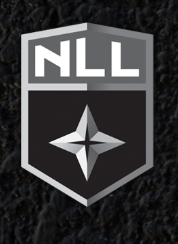 SAN DIEGO — The National Lacrosse League (NLL) and the San Diego Seals have released a revamped schedule after the league reached a new collective bargaining agreement this past weekend. The season will now begin with a road contest in Denver at the always tough Pepsi Center, the home of the Colorado Mammoth on Saturday, Dec. 22. San Diego will continue their opening road trip with a pair of Canadian games on Friday, Dec. 28 (at Calgary) and Saturday, Jan. 5 (at Saskatchewan). Seals’ fans will finally be able to see the home field, turf and team on Saturday, Jan. 12 when the reigning Eastern conference champions Rochester Knighthawks come to Valley View Casino Center for a 7:00 p.m. faceoff. Calgary will make their first appearance at the VVCC a week later on Friday, Jan. 18. The Vancouver Warriors and the Seals will get to know each other real well between Jan. 19 and Mar. 2. In the four game span, the two squads will meet three times (twice in Southern California). In other weird span, from the Calgary game on Jan. 18 until Mar. 9 when the Seals travel back to Pepsi Center, the Seals will play nothing but Canadian teams. It will be a battle of expansion franchises on Saturday, March 16th at Valley View Casino Center as the other expansion team, the Philadelphia Wings will come calling. Due to the shortened schedule, the Seals will not travel to the City of Brotherly Love, unless they meet in the playoffs. San Diego will close out the season with a three game homestand, the longest of the season, with games against Saskatchewan (April 12), Colorado (April 19) and the oldest team in the league Buffalo (April 27).